Clovelly New Years Eve Sunset. 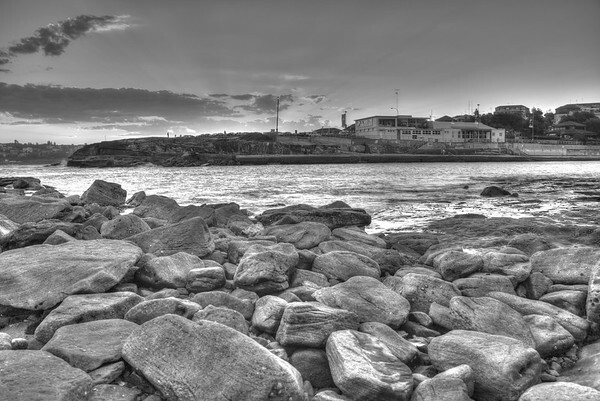 This is a monochrome version of a HDR image created from three exposures on New Years Eve, at Sydney's Clovelly Beach. I love the look that monochrome images can provide. I feel that in this case the extra tonal range provided by HDR adds a load of texture and character to the image. This image is part of my Photos of the Day album, which can be viewed in high resolution at photos.desparoz.com. It is always amazing to discover the photographic opportunities that lay waiting in your home area. 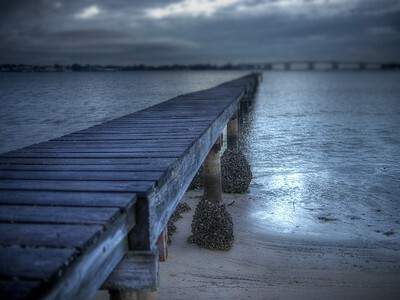 Living in the Sutherland Shire, I often drive straight down the Princes Highway when getting up early for sunrise photos, yet one beautiful opportunity is a private jetty in nearby Sylvania Waters. The jetty is under a private lease and is private property, but the beach is public access, so I tend to wander down to the beach and shoot from the the sand immediately adjacent to the jetty. This image has been created with a touch of blur added in MacPhun's excellent 'Focus Pro' app, which I use as an add in in Aperture (still). 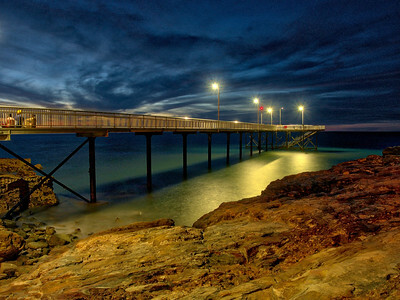 With the sun set for the day, the crowds along Darwin's shoreline had begun to go home, but some people stayed to enjoy the 'blue hour', a time when the sky provides some magical colour - if you keep an eye open for it. Or a lens…. 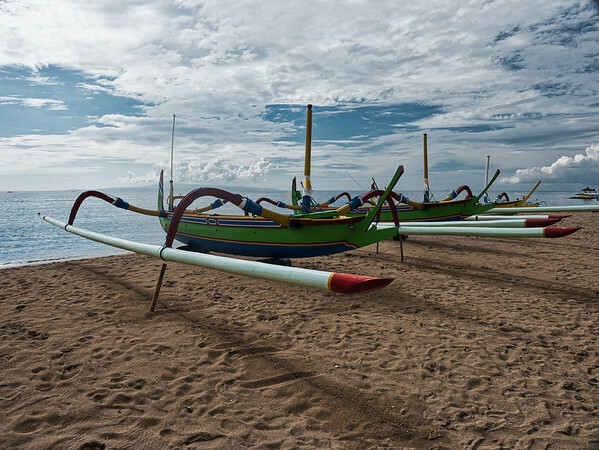 Sanur is considered the original upmarket tourist destination in Bali, and remains a photographically spectacular place. The long beach looks over towards Nusa Penida island (which can be seen in the background of this image). I only had a couple of days in Bali on this trip as I was visiting for a seminar, so didn't have the flexibility to shoot at the times that would have better suited. That said, I did enjoy the chance to explore the beach, and really liked the traditional fishing boats all along. The challenge here was isolating the subject. The beaches are busy, and there is a lot going on. I managed to isolate the image nicely and using a polariser I reduced the glare of the mid-morning sun.